Last week I flew Qantas business class from Melbourne to Perth and it only cost me $500: a quarter of the usual price of $2000 one-way. I love the business class product Qantas flies on this route, so for me this was a great deal. The hack I used to score the cheap seat was using purchased American Airlines frequent flyer miles to book. 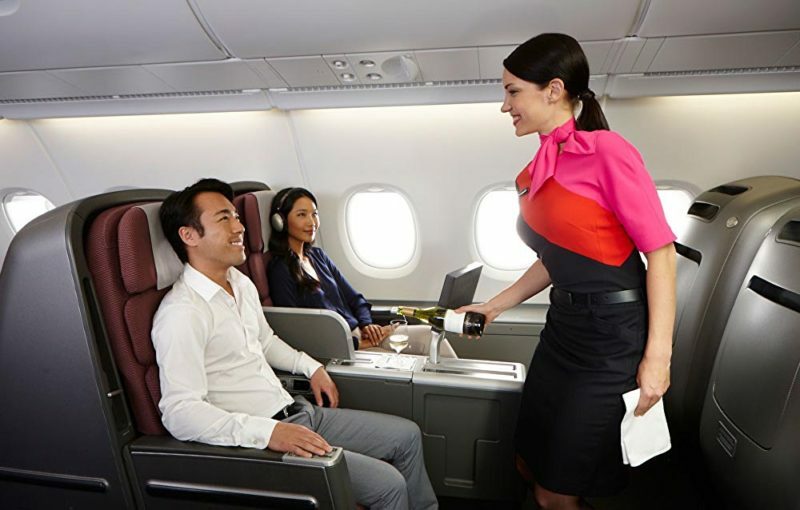 Many airlines don’t let you purchase miles, but American does, and you can use them to book award seats with Qantas and other partners, such as the popular Cathay Pacific and Japan Airlines. Here’s the list of American’s partners. You are essentially ‘buying’ an award seat and, as any frequent flyer knows, sometimes they are hard to find. Before buying miles, make sure there is (or is likely to be) an available award seat that you want. I never spend more than 2 US cents per point. American Airlines regularly has special offers for miles at this price or as low as US1.7 cents per point. 40,000 miles to fly from Australia to Asia in business class – no matter if it’s nearby Singapore or more distant Japan or China. To check out all the options, have a look at this table. But note that this hack isn’t as useful for flying to Europe, Africa, North America or South America: there are fewer award seats, and American’s routing rules don’t allow you to transit through a third region (for example, to fly to Europe you’d have to pay for Australia to Asia/Middle East and then separately from Asia/Middle East to Europe – which isn’t economical). You can search and book Qantas seats online using the American Airlines website, but for most other airlines you’ll have to call American to enquire (the Australian number is (02) 9101 1948). Usually, special offers to buy miles are only available to people who have been members of American’s frequently flyer program, AAdvantage, for at least 30 days. It’s free to join here. Don’t forget to factor in the taxes and charges on award bookings. These will show up online when you search for a seat (or ask if you’re calling American to enquire). They are usually quite modest with American. Also don’t forget about the AUD/USD exchange rate, as the miles will always be priced in US dollars. So that’s how I ended up flying from Melbourne to Perth in Qantas’ superb A330 Business Suite for a fraction of the usual price. While I appreciate this hack might sound a bit complicated – and the cost might still be too high for many people – I find it useful, and I hope you do too. To purchase Aadvantage miles, click here.